One of the most visited countries in South America is Peru. The Andean country is full of ancient history and natural beauty that is second to none. What are some of the Peru holiday packages on in this wonderful country? In Peru, we have many different zones to visit, the coast, the highlands and the jungle. Why not start on the coast with the capital of Peru, Lima. 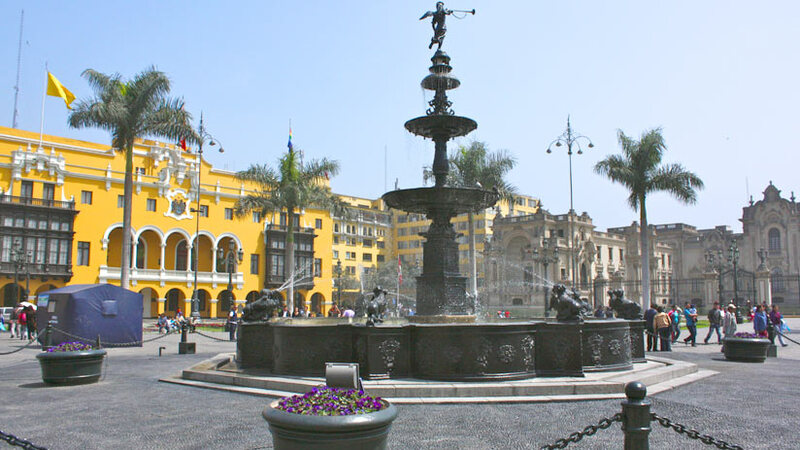 In the center of Lima, there is plenty to keep you occupied, like the Plaza de Armas. Just a short walk away is the San Francisco Monastery, a beautiful bright yellow church most famous for its bone-filled catacombs. Lima is also filled with lovely little barrios like Barranco with its lovely plaza and many restaurants and Miraflores which has the impressive Larco Mar, a seaside shopping complex built into the side of the cliff. Travel down the coast you will arrive at the seaside resort town of Paracas, there are several luxury resort hotels to be found and is the starting point for tours to the Ballestas Islands. 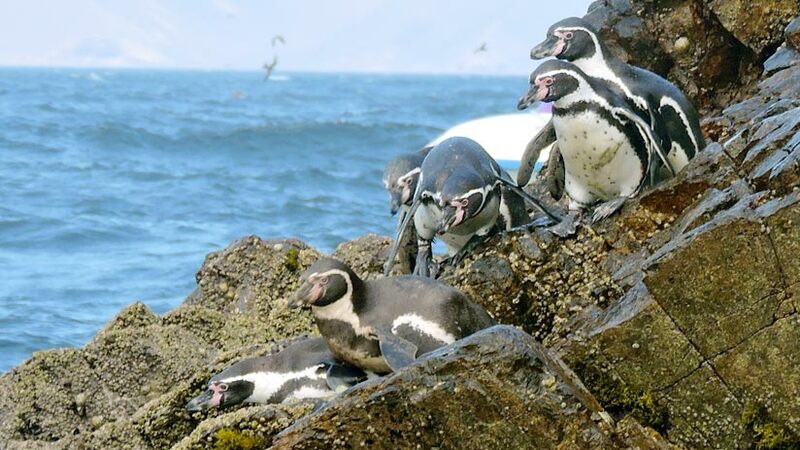 These Islands are famous for their bird life and to see this wonder you will need to take a boat ride from Paracas port. Also nearby in the town of Pisco a short drive from Paracas you can take a short flight to Nazca to view the mysterious Nazca Lines. Spread across 500 sqkms of desert, the lines remain one of Peru’s greatest mysteries. Consisting of more than 800 straight lines and 70 wonderful figures of plants and animals that can only be viewed from above. 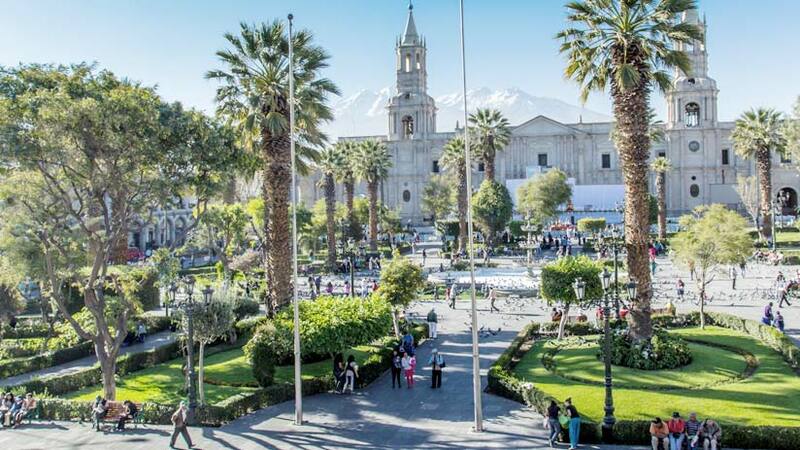 The city of Arequipa is surrounded by volcanos and desert, the city is built with a white volcanic stone, with a temperate climate and almost no rainfall all year this makes Arequipa the perfect city to visit. Among the notable attractions is the beautiful Santa Catalina Monastery. Located in the heart of the city it is filled with religious art, period furnishings and is a maze of twisting passage ways and is one of the most fascinating religious buildings in all of Peru, a must see on any visit to Arequipa. The Plaza de Armas is also a pretty place to pass an hour or two, with well kept gardens and lovely balconies well worth the time spent. 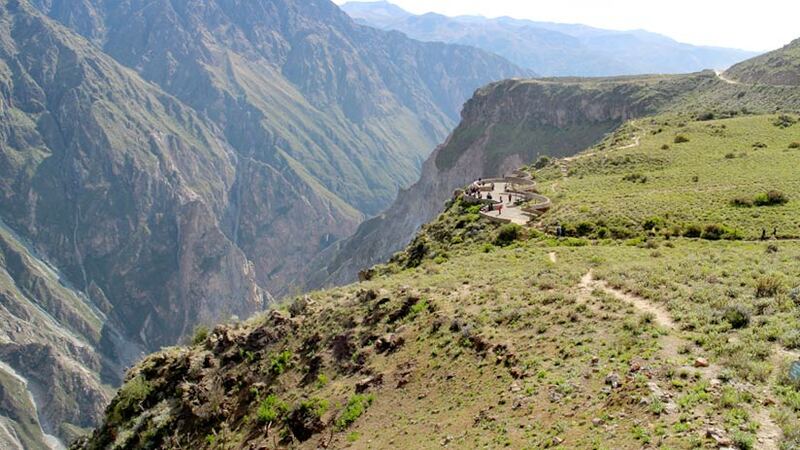 A few short hours from Arequipa you will arrive at the sleepy little town of Chivay famous as the gateway to the Colca Canyon and for its incredible hot springs take a short drive from Chivay and you will see the most spectacular canyon anywhere in the world, the Colca Canyon. Deeper than the Grand Canyon, this marvel of nature comes complete with the magnificent Condors, rising up from the canyon in the thermal breezes, the condors will glide past you for an excellent photo opportunity. Continuing south and inland you will arrive at the lakeside town of Puno; built around the beautiful Lake Titicaca Puno has expanded over recent years to accommodate the luxury tourist market, with many luxury hotels and resorts catering for the market. 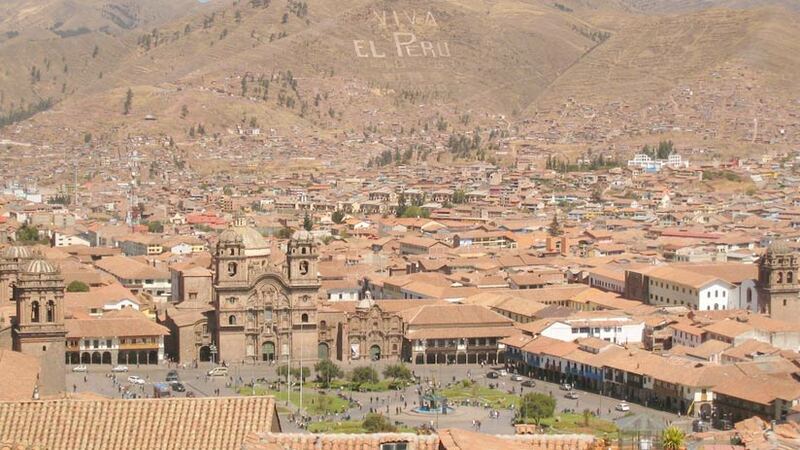 The town of Puno has a nice little plaza complete with a church which is well worth a visit. 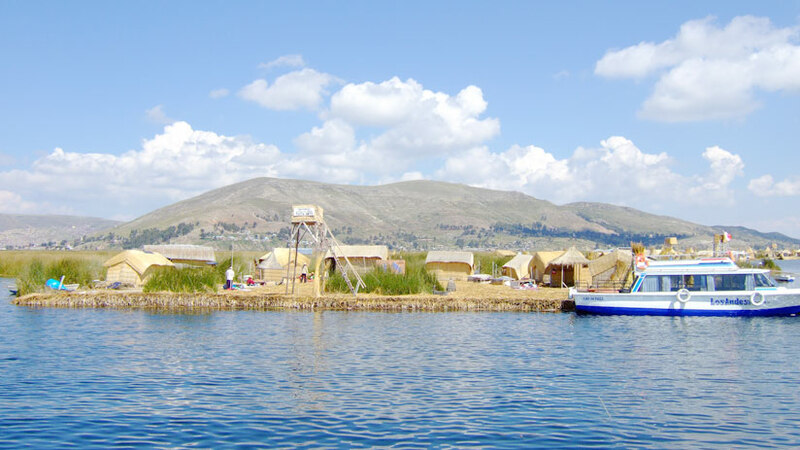 A visit to Puno would not be complete without a day or two visiting the lake islands, these islands are famous all over the world for their peace and tranquility and most notably that the islands are made completely out of totora reeds that grow in and around the lake. No trip to Peru is complete without a visit to the Imperial city of Cusco. Set in a valley Cusco is surrounded by beautiful snowcapped mountains. Most people stay near the Plaza de Armas with a wide range of hotels on offer, from luxury 5 star hotels to backpacker accommodation everything for the tourist market. The plaza and surrounding areas are also packed with restaurants and bars to cater for every taste. Located on the plaza is the Cathedral with its incredible collection of art featuring a painting of the last supper complete with guinea pig for main course. Unusually there is another church in the plaza, which is La Compañía, equally as beautiful it is the baroque style. 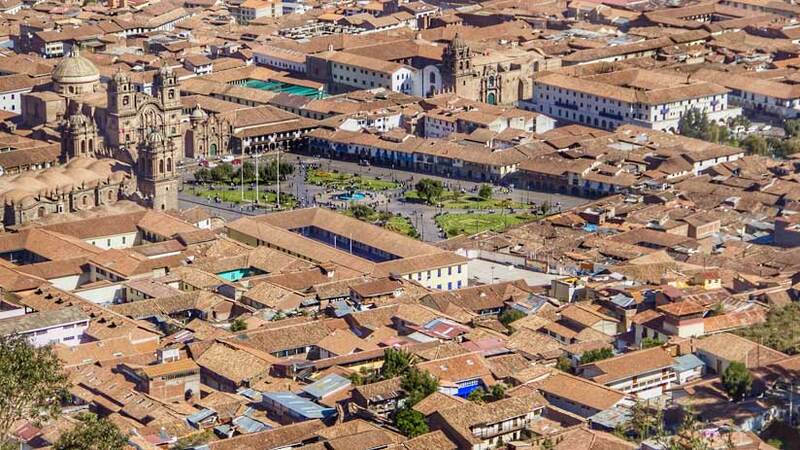 Outside of Cusco at around an hour’s drive is the beautiful and scenic Sacred Valley of the Incas, a full day visiting the valley and its ruins and markets that are the best shopping in Peru. From the Inca fortress town of Ollantaytambo you can catch the train to the must see of all Peru, Machu Picchu, declared a wonder of the world, Machu Picchu is necessary see and is on everyone’s bucket list. Take a guided tour to learn the history of this magnificent place known as the lost city of the Incas. 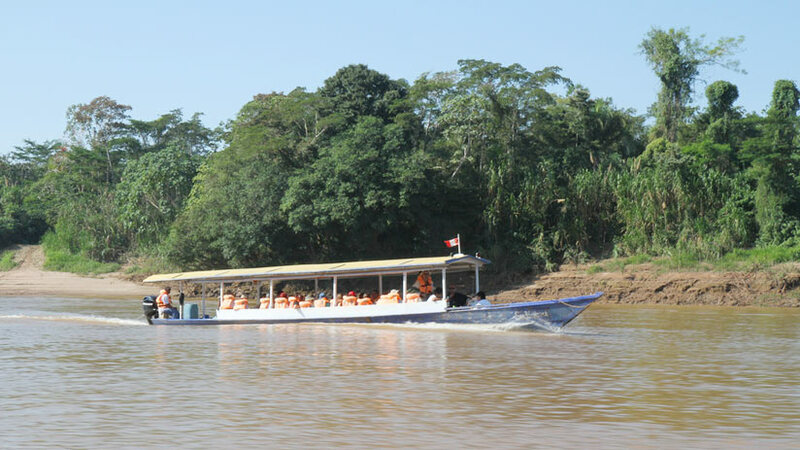 Finally, a short flight from Cusco is the jungle town of Puerto Maldonado gateway to the beautiful and luxurious lodges that line the Madre de Dios River in the Amazon Basin, you can spend several days walking different jungle trails seeing many different species of wildlife and vegetation. Take a boat ride at night and see animals sleeping on the banks of the river. As you can see, there are plenty of Peru holiday packages on offer for you to choose, there are many questions that you may be asking yourself about a holiday to Peru. What is the best time to visit to Peru? The answer to that is there is no best time all year is great to visit Peru. Is Peru safe to travel? Is another great question and yes if you are careful you will not have any problems? Peru cost of travel. In recent years, the cost has risen due to increased tourism but a holiday in Peru will not cost the earth and it will be an experience of a lifetime. Luxury Travel, Peru Activities, Peru Travel Tips adventure, family vacations, travel to peru. permalink.